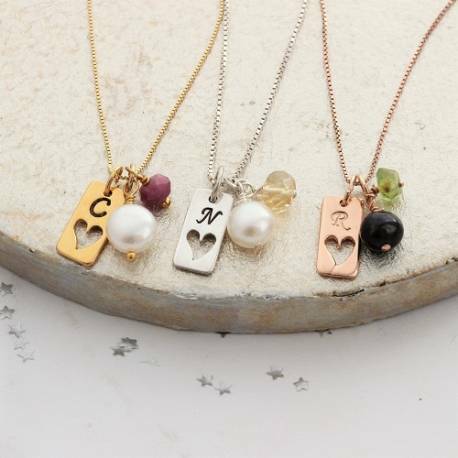 A gorgeous piece of jewellery for girls who like to stand out in a crowd, our Personalised Birthstone Gemstone & Tag Letter Charm Necklace quietly demands attention. 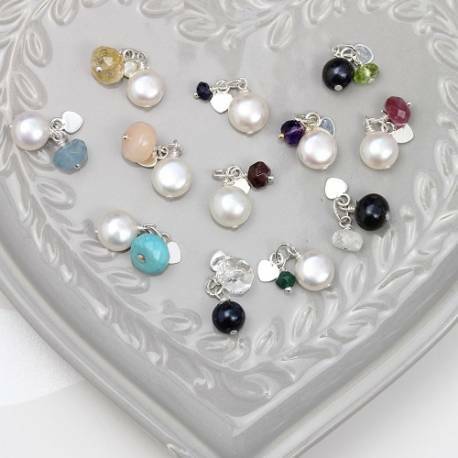 Fully customisable with the three trinkets of your choice, it comes with a rectangular charm, which can be stamped with any initial, a genuine faceted gemstone, and a lustrous freshwater pearl in classic white or shimmering black. 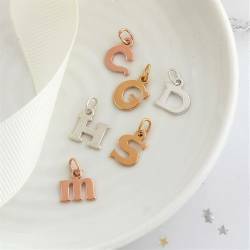 Presented on a fine box chain, this Personalised Birthstone Charm Necklace is offered in sterling silver, luxurious yellow gold plated vermeil, and feminine rose gold vermeil to complement every taste and every contemporary jewellery collection. The tag is approximately 15mm by 7mm, with the hoop it hangs arrox 21mm.